Web designer, WordPress enthusiast, occasional photographer. Every once in a while I get asked to add a date picker to the checkout page of a Shopp e-commerce site, usually to allow the customer to choose a delivery date for the order. There are a ton of date picker scripts out there, including a jQuery UI Datepicker (which I find ugly and difficult to reskin without adding a lot of extra bulk to your site), so I’m not going to list them all here. For my purposes, I use pickadate.js because it is lightweight, uses jQuery (which Shopp also uses), and looks great out of the box. It’s really that simple. If you need to modify the date picker behavior, take a look at the date picker documentation. 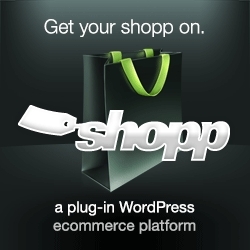 Get notified first about tips and plugins for helping you make more money with Shopp! How do you get more traffic to your web site? Chris Runnells, Proudly powered by WordPress.